XENON Corporation was about to celebrate its 50th anniversary and determined that it was finally time to get their brand in order. 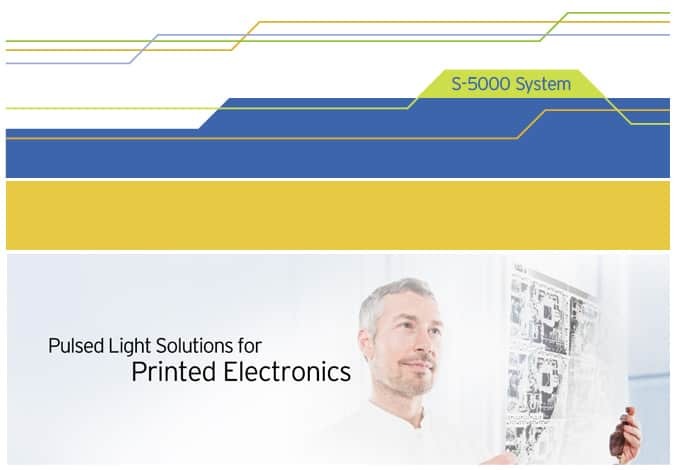 The company is the forefather of pulsed light technology which has a wide range of production applications such as curing, sanitization and printed electronics manufacturing. Through the years, the product lineup had grown organically, developing new technologies, finding applications, then branding products to market to each vertical. The result was an unwieldy and complicated list of products, a corporate brand which was not well defined, and a website that had not changed since the 90s. 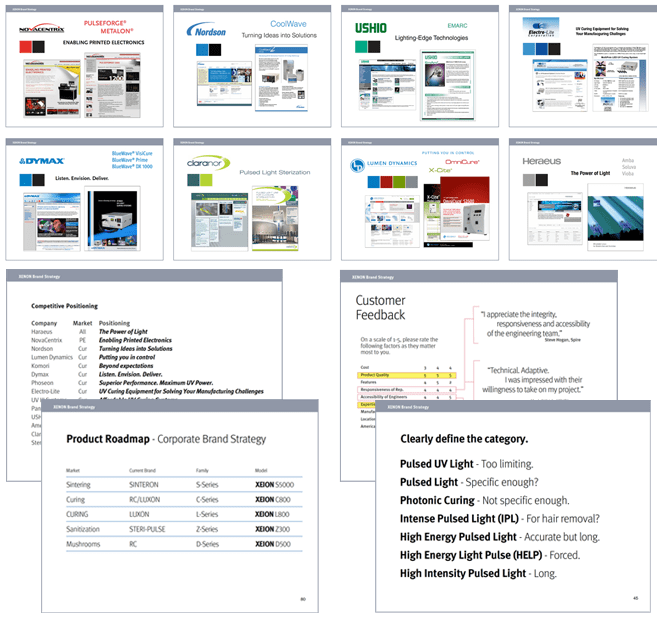 We did a thorough analysis of XENON to increase our understanding of Pulsed Light technology, the corporate structure, the industry and the competitive landscape. 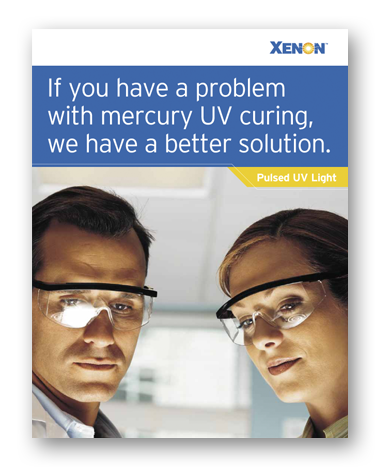 We conducted secondary research and interviewed XENON management, sales, operations and engineering staff, along with XENON customers and distributors. XENON was well respected for its engineering expertise and especially appreciated for the quality and attentiveness of its people, a clear distinction from the sanitized technology brands of its competitors. We developed a look that brightened the company’s existing dark blue color and introduced a bold complement along with a system of stepped rules to represent growth and movement. 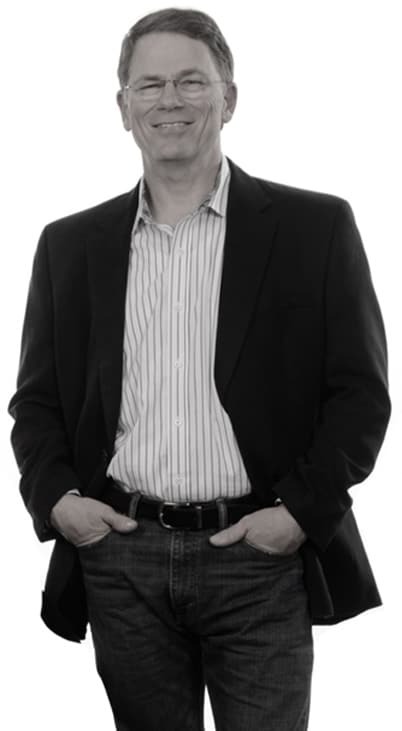 We changed the focus of imagery from photos of boxy systems to a images that represent superior technology and people. We applied the brand elements. 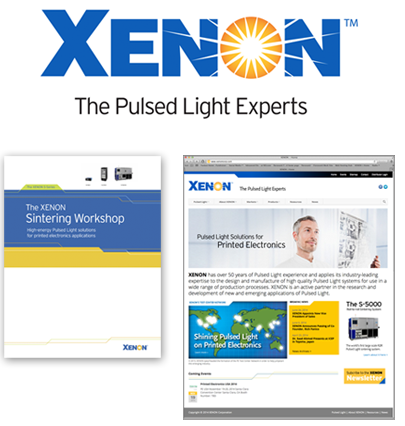 We developed the XENON brand guidelines, then began applying the brand. In its 50 years in business, the company’s thoughts on branding and marketing were deeply entrenched, but leadership was open to change if they could be shown a better way. Though we knew it was highly unlikely, we recommended changing the company name because of the many obstacles it presented for trademarking and brand recognition. After serious consideration, it was determined that the name would remain, however everything else was open for consideration. If something is working, we won’t recommend changing it unless there’s a very good reason. 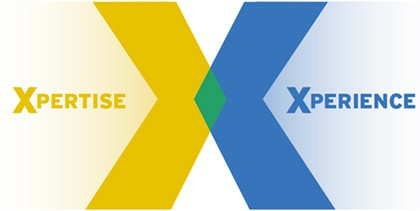 Their existing logo was not bad, just a bit dated. The brand design that we had slowly developed over the years just needed some tweaking and definition. 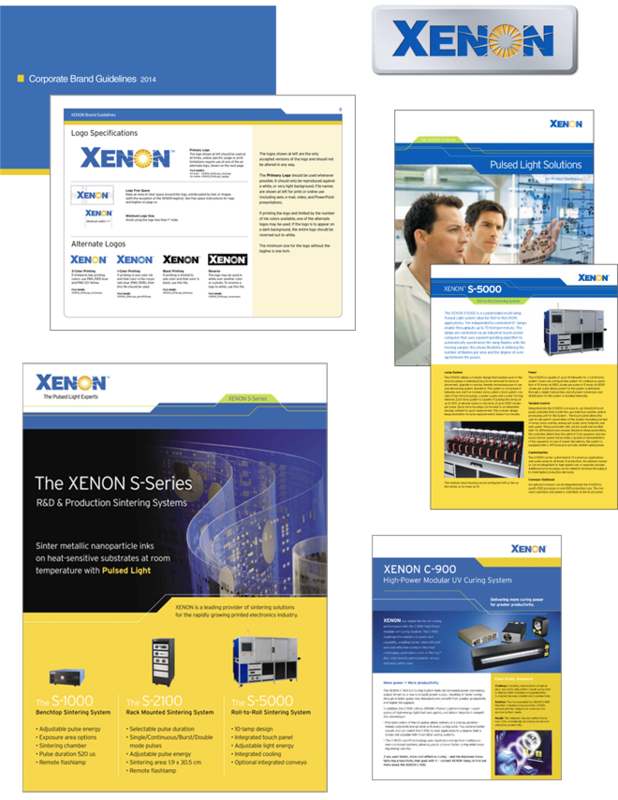 The big change that was needed was the way XENON was branding its products, and that’s where we made the most dramatic changes.